Growing up I played a multitude of different team sports, anything I could get my hands on to be honest. I was never brilliant at any, but I worked hard to be the best I could be with my skill set. Representing Australia for a couple of years playing Baseball in my late teens being the highlight. 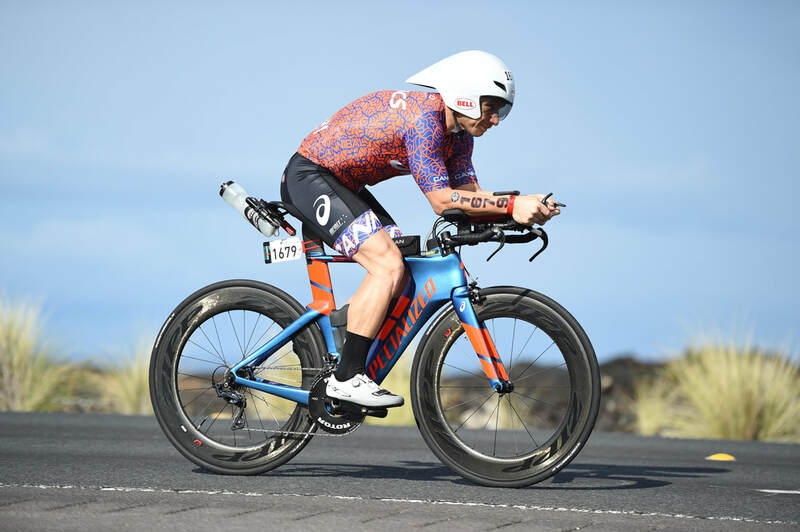 I went back to rugby in my late 20’s, then my body decided that we had had enough of the contact sports, and in early 2006 I found myself falling for the challenge of triathlon. Not being able to comfortably swim 50 metres in the beginning, it was a real battle. I dabbled in teams, doing bike and run legs, and eventually the confidence came to do my first individual sprint distance. At 105kgs (yes that’s right 105kgs) it was far from comfortable, and the weight got the better of me; so I did something about it. I dropped 35kgs, and was a new man, ready to take on the challenges that the sport offers. 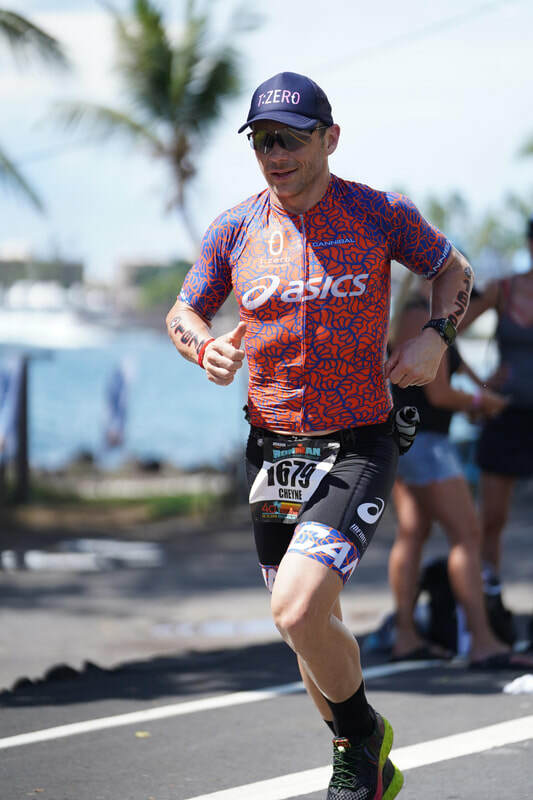 What I loved the most about triathlon was individualism after playing team sports my whole life. The fact that you get out what you put in, and there’s no one else to blame if you don’t get the result on game day. Once the confidence came I went on to complete my first Olympic Distance in 2012, closely followed by my first Half IM in Yeppoon four months later. In 2014 I found myself on the start line for my first Ironman. I remember it like it was yesterday, a very special day finishing in 10:33. I went on to do another four Ironman’s in 2015 / 2016 and came away with similar results. I wanted more and my heart was set on cracking that illusive 10 hour mark; insert mine, and my wife’s first meeting with Coach Rich at TZero. My goal of cracking 10 hours was laughable to him, as he saw right then what my potential was, and that my wife was on board, which is extremely important in my eyes. I’ve learnt so much about the sport in the last 12 years, and more about myself than I ever thought I’d know. I have the knowledge of what it takes mentally and physically, and how to do it all whilst managing a busy work life and family. I have an amazing wife who allows all this craziness to take place, and three beautiful children (15, 12 & 9), so I know the challenges, and how to make it all work in unison. One frustration I see all too often in this sport is watching people receiving poor coaching direction, and then seeing the disappointment when they don’t achieve the result they thought they had trained for. This is why I embarked on my coaching journey. I want to share my knowledge and allow athletes to find their potential through true personalised training programs, unlocking the talent that lies within, and bring out something from deep inside that they don’t even know that they have yet. If it’s reaching your first finish line, or chasing down your next big goal, I’d love to work with you and guide you through that journey. Multiple top 10 and podiums across Sprint and Olympic Distances.